Epilepsy is a chronic neurological disorder that is associated with a disruption in the normal electrical activity within the brain. 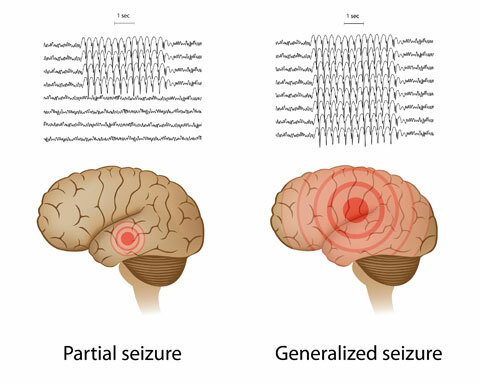 The main symptom of this abnormal brain activity results in repeated seizures, which can range from brief lapses to severe and prolonged convulsions. Epilepsy is classed as one of the most common neurological diseases as it affects 50 million people worldwide, occurring at any age. There exist several causes of epilepsy including genetic, environmental and physiological factors. All of which modify neuronal function or cause functional changes within the brain. The most common form of epilepsy, which affects 6 out of 10 people, is known as idiopathic epilepsy. The exact cause for this type of epilepsy remains unknown, with genetic factors appearing to be key. The presence of a family history is known to enhance an individual’s risk for developing epilepsy (1). At present, there is currently no known cure for epilepsy. However, there does exist some very effective medications known as Anti-Epileptic Drugs (AEDs). It is estimated that around 70% of individuals with epilepsy can control their condition with these drugs. There does exist a group of the population with epilepsy that do not respond well to AEDs and are believed to have drug resistant epilepsy. Otherwise known as intractable or refractory epilepsy. In the case of these individuals, other forms of treatment need to be sought. The use of the ketogenic diet to treat epilepsy dates as far back as Hippocrates time. The major way to induce ketosis at that time was using fasting or starvation. Since then, modern reports put the use of the KD in treating childhood epilepsy starting in the 1920s (3). It was within this time that discoveries were made to show that the same level of ketosis could be induced with carbohydrate restriction and higher levels of fat intake (4). 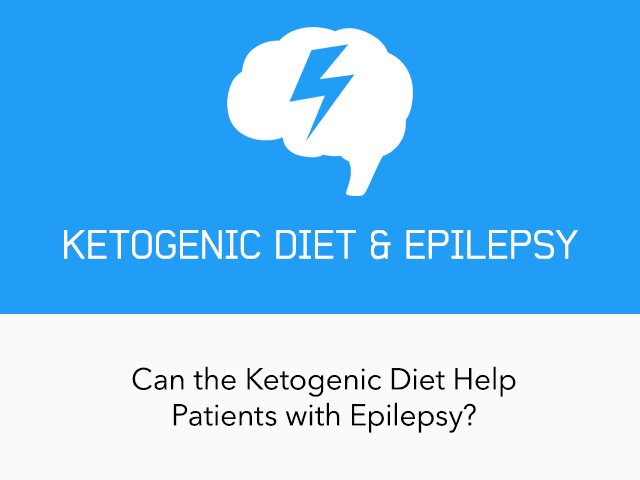 How Can the Ketogenic Diet Help Patients with Epilepsy? Although the KD is an established treatment option in the major epilepsy centres around the world, the exact mechanism of its action is still not fully understood. It is believed that the ketone bodies produced with the ketogenic diet provide the anticonvulsant effects as well as reducing neuronal excitability in the brain (5). However, the exact link between ketone bodies and the anticonvulsant efficacy of the ketogenic diet is not fully understood. Another hypothesis for the role of ketone bodies in the anticonvulsant activity is due to their impact on certain neurotransmitters. Namely it is thought that the ketone bodies influence the main excitatory and inhibitory neurotransmitters, GABA and glutamate (6). Are Higher Ketone Levels Better for Seizure Control? The level of ketones doesn’t always appear to correlate with seizure control. For example, people demonstrating just a mild ketosis level (0.5-1mmol/L) could have just as good seizure control as those with a higher ketone level (4-6mmol/L). Although the optimal ketone body level has not been classified, it is known that infusion of glucose does cause the return of seizures as quickly as one hour (7). The use of the ketogenic diet has most extensively been used in children for those with refractory epilepsy. There now exist several studies, which confirm a response rate of approximately 50% in children with refractory epilepsy. In 2008, the first randomised controlled trial was undertaken to look at the specific efficacy of the ketogenic diet in children compared to a control (9). The study collected data from 54 children on the KD and 49 on the control group. The results showed that after 3 months, 38% of children in the ketogenic group had greater than 50% seizure reduction compared to just 6% in the control group. The same research group went on to conduct another similar study which this time reported data at 3, 6 and 12-month time points. At 12 months, they reported similar improvements in seizure control confirming that the KD for use in refractory epilepsy in children is an acceptable treatment of choice (10). In 2009, the first blinded, crossover design study was carried out in children (11). This type of design meant that both the physicians and the parents of the children didn’t know what group they belonged to i.e. the ketogenic or the control group. Both groups consumed the ketogenic diet but one group was given a solution of saccharin (a sweetener not known to stop ketosis) or a solution of glucose (known to inhibit ketosis). A trend towards improved seizures in the saccharin group was reported. The International Ketogenic Diet Study Group, which consists of 26 neurologists and dietitians, has deemed the KD an effective nonpharmacologic treatment for intractable epilepsy (12). Unlike in children, the use of the KD in adults has been a lot more limited. The main reason is there is a perceived lack of tolerability and compliance in adults. As such, there remains very few well designed or randomised controlled trials within adults following a ketogenic diet. A meta-analysis study carried out in 2014, looked to summarise the main studies that have been conducted in adults. A total of 12 studies were identified which included data on 270 patients. Three different types of the ketogenic diet were looked at (the classical, other forms of ketogenic and the Modified Atkins). It was reported that better compliance came with that of the Modified Atkins Approach (56% vs 45%). However, better seizure control was noted with the classical ketogenic approach in comparison to the Modified Atkins approach (42% vs 34%) (13). It has been found that for those adults (with drug resistant epilepsy) who comply with the diet, around 30% report 50% or more reduction in seizures (14). Again, as noted from the International Ketogenic Diet Study group, there is a recommendation to strongly consider the use of the ketogenic diet in patients of any age who have failed up to three medications. It can be stated that the use of the ketogenic diet is a proven therapy option for the use in children given the strong clinical data. Although the data is limited in adults, for those with drug resistant epilepsy, this could be a very good treatment of choice. The major barrier is to establish a ketogenic approach that will result in good compliance. Whilst we can see that the diet does appear to offer significant anticonvulsant for those with refractory epilepsy, more work is needed to truly understand the exact mechanism of action that is at play. Having this then means that more and better therapeutic modalities could be developed in the future. I'm really interested in why adults are less compliant than children? I'm guessing that it has to do with children being less independent, and therefore are more likely to eat what doctors/parents tell them too. Also, maybe because children haven't lived their whole life eating certain foods that taste delicious but might not be good for their body, so children not as resistant to giving up those foods? However, I'm wondering what the mindset is of the adults who are resistant? And I'm wondering if this resistant behavior is similar in adults on other diets? Maybe if the why behind the lack of compliance is better understood, it can be learned how to cater the diet plan to the adult patient. Not change it anyway, but present/introduce it to the adult in a difference way. I'm sure there is some wonderful research involving these ideas, and I'm wondering if anyone could direct me to it? This is a great article. I have been on Keto for a year now and I have been living with epilepsy for 15 years now. My neurologist has seen a huge change in seizure control since I started. He encourages it with my medication. I just wanted to share my point of view of it. Can't wait to read more! Great article, It is also important to note that up to 7% of adults can have a complete cessation of all seizures (me included.) Also important is that newer research done by Eric Kossoff has shown that the MAD diet is tolerated better and has as good outcomes as the classic Ketogenic diet (CKD) and should be the choice for anyone over the age of 2 if they are going to give a dietary approach a go. If clients to do not respond they can always become stricter and change to the more restrictive CKD. One of the things I see often is that only those with refractory epilepsy are encouraged to try Keto. Many people who have their epilepsy managed with medication can also benefit from this way of eating often reducing or eliminating medications and their nasty side effects. That is NOT to say all folks on medication should stop. 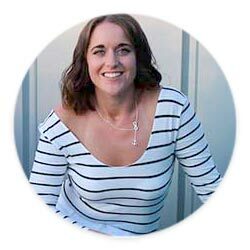 But if you are on medications which are having multiple negative side effects or on multiple medications then you might want to try a medically supervised keto diet to see if you can reduce or eliminate any of the offending medications. Keto is not just for refractory epilepsy. As for compliance, well that is an issue but personally, not having 8 seizures a day, not needing to be on medication which completely changed my personality, not being stranded in a rural area unable to drive are more than enough reasons for me to stay compliant. And all of the great recipes out there like the ones on Ketodietapp make it easier than ever before. If you have seizures, give keto a try but do it with good support from a knowledgeable dietitian and preferable a supportive physician. Hi Gillian , thank you for your insights and for sharing your experience!! This is just an introduction to this topic and more will follow soon. 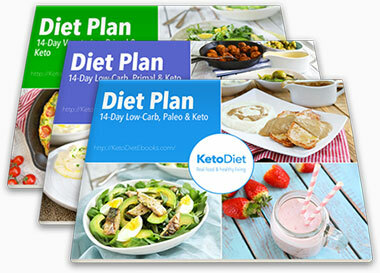 Emily has written a more detailed post on the 4 different approaches, including sample meals. I will share the next post in 1-2 weeks.